Increasingly, teachers are using technology in the classroom to aid learning and make it easier to chart student progress. In many classrooms across the country, students are assigned laptops or tablets, which they use to carry out in-class research, lessons, and projects. Teachers also often use SMART boards which are interactive whiteboards with touch screens. Education technology also encompasses programs that can be accessed via the internet that teachers use to share homework assignments, quizzes, and other materials with students. Use of education technology has been growing in recent years, though common tools like laptops have by no means been universally adopted. According to a survey sponsored by Sprint Business, 60% of teachers use laptops in the classroom on a daily basis, while 58.7% report daily use of other education technology tools. 1. Cost: Perhaps the largest obstacle to adopting education technology is the least surprising one: many technologies are just too cost prohibitive. Cutting edge technology often requires a significant investment, and, with certain technologies becoming outmoded in a matter of years, it’s no wonder budget-bound schools are cautious about making such investments. Budget problems lead to classroom policies, like BYOD (Bring Your Own Device), which create more problems. For example, when students are asked to bring their own tech devices to schools, there’s no guarantee that a teacher’s online materials will work across different devices. Continual underfunding of schools at the state and national levels only exacerbates the cost problem. 2. Lack of training: Schools must invest money and time into education technology initiatives to see positive results. Even if teachers have access to learning technologies, they’re not receiving the proper training to harness these technologies. Tech training is especially important for teachers because many of them aren’t “digital natives” — they didn’t grow up with technology at their fingertips like most of their students have — so new technology often has a steep learning curve. 3. Resistance to adopting new technologies: Lack of training and lack of familiarity with tech fuels a third issue: many teachers and administrators resist adopting new technologies in the classroom. 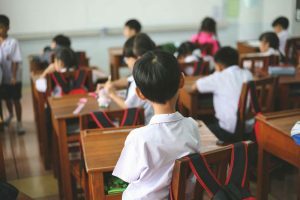 It’s understandable that time-crunched teachers are wary of adopting new classroom tools, especially when they’re lacking support on a school, departmental, or district level. Parents who think their kids are already inundated with too much tech access may also represent barriers to tech adoption. 4. Too much red tape: School districts don’t make it easy for tech providers to develop and introduce new technologies in classrooms. As Suren Ramasubbu writes in the Huffington Post, the sales cycle for ed tech often hovers around a long eight months, with companies that create ed tech tools having to get sign offs from state policy makers, school boards, chief information officers, school principals, and others before the tools can be adopted. Frankly, it’s not the most profitable way to do business, so many technology companies focus their efforts in other sectors. 5. 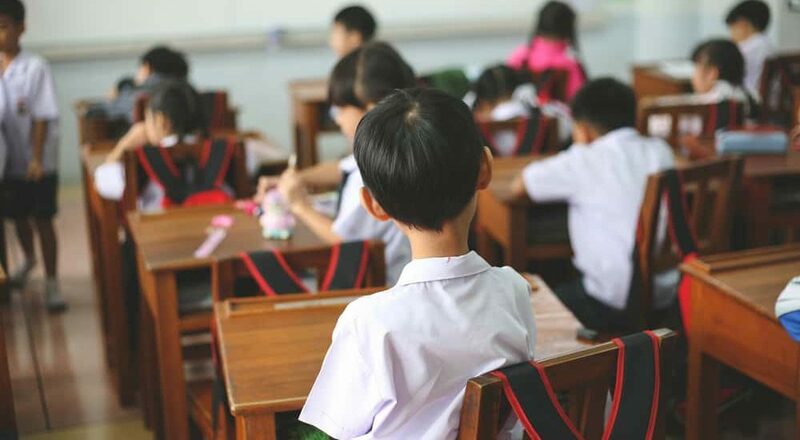 Insufficient infrastructure: Even if districts widened their budgets for education technology, they would still encounter a barrier to adoption: many school districts lack the network infrastructure needed to support education technology. Perhaps the largest issue is lack of internet access. 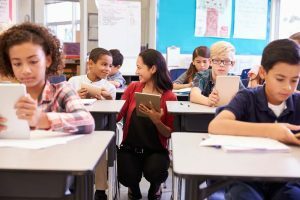 The Sprint Business survey reports that more than 16% of teachers say their school districts don’t provide regular access to the internet for students in the majority of the district. With so many education technologies relying on the internet for access to programs and systems, lack of internet access significantly hinders adoption. Unfortunately, low-income students are at an even greater disadvantage when it comes to adopting education technology. Many low-income students don’t have access to technology at home. That puts them at a disadvantage in the classroom, since they’ll be less familiar with these tools than their peers. If a classroom has a BYOD policy, these students are at a loss. What’s more, teachers who are trying to instill good tech use habits in students will often assign homework or projects that require the use of technology outside of school. Students without easy access to technology may fall behind, or they may feel shame or embarrassment by having to bring this issue up with their teachers. In an attempt to level the playing field for low-income students, teachers may scale back on using technology inside and outside the classroom. But that approach comes at a cost for all students; they’re missing out on the opportunity to learn valuable digital literacy and tech skills. Instead, schools and districts must start to invest more in education technology, ensuring all students have access to the tools they need, while all teachers have the support and training necessary to confidently use new technologies in the classroom. As technology becomes an increasingly larger presence in our lives, it’s imperative that classrooms become welcoming places for students to grow their knowledge of and through technology.